What is so amazing about Grace? : What is your Focus? 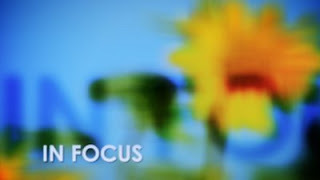 This Sunday at MKCC we are starting a brand new series - In Focus. All sorts of things compete for our attention and say focus on me. Some of them good some of them bad. Isn’t it amazing when we focus on something we can tune out to everything else. It happens with me often I can easily get engrossed in a book or a football match. My family are talking to me but I do not hear them (Or choose not too). My focus has made other things fade away. Struggling with busyness, decisions, worries then its a good thing to focus on Jesus. When we get the main thing, the main thing we are on the right track.